These days you can find that majority of videos are in MKV format, most of them are video songs and HQ Movies. Most of the uploader are using this format to upload there video and movie because MKV files are small in size and helps you to maintain the quality of video. That’s the main reason most of the uploaders are using the MKV format to upload video. But the problem is sometimes they become corrupted or damaged while downloading. It’s difficult to play such type of corrupt or damage MKV files on your PC. But now you can repair your damage MKV files easily with the help of Meteorite app. Meteorite is one and only MKV/Matroska repair program and it open source. It provided you the option to repair corrupt MKV video files. So, if you have converted any video file into MKV format or downloaded it from somewhere, try this free to use utility to fix it. Step 1. 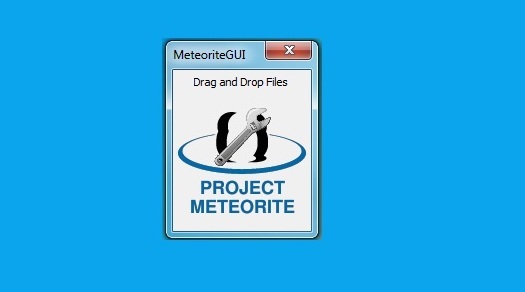 Download the open source utility Meteorite on your windows PC and install it, as we mention above the app is free to use and one and only official tool to repair all kind of damage MKV files easily. Step 2. After the the installation of the Meteorite MKVrepair on your PC, Drag your corrupted MKV files into the open program window, and the MKV will be repaired automatically. The process will take some time and you can see the whole processes on the same windows right below the interface indicating the status of the repair attempt. Step 3. Once the repair process is complete, you will get the message on your screen. The repaired file will be overwritten when the process completes. So always take the backup of your old file to see if issues can be resolved by the application to avoid further damage to the original file. Meteorite Mkvrepair is portable app, all you have to run this app on your windows PC, It is vary small in size and portable so you can carry in your USB. The application is available for Linux, Mac OSX and Windows systems.